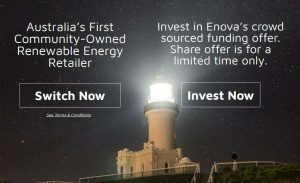 While the Australian government continues to talk about coal and baseload and electricity prices, Australian communities and entrepreneurs are busy delivering on clean energy in innovative new ways. Smart technology and ongoing legal advances are enabling new ways of doing business and making investments – tools that are enabling exciting new projects to be delivered. The enabling technology of crowd sourcing has been upgraded to allow people to do more than “make contributions”. 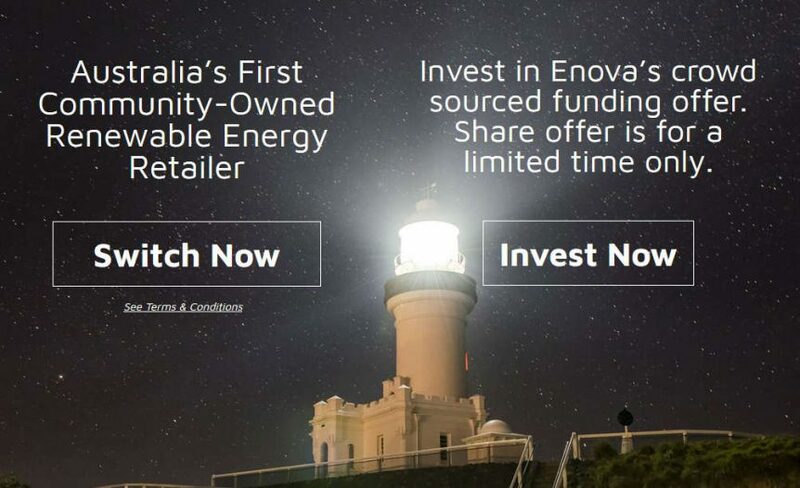 Since March 2017, crowdfunding in Australia has been expanded to allow ordinary people to invest in new businesses and new business models. This is a process called “equity crowdfunding”. Could you be a change maker through investing in the future? This means that ordinary people can invest in businesses building the future they want to have – regardless of government policy or “the market”. This delivers win/win/win solutions to the community as well as the environment. Localised, distributed clean energy from microgrids creates big energy savings. Traditional long distance energy transmission from big plants to local loses 10% of its energy in transmission – that’s a whole lot of emissions for zero energy delivered. Profits from energy sales from big gentailers leaves the country, going to overseas investment. Local generation of locally owned renewable energy means that clean energy jobs are created in local communities and profits stay in local communities. Solar, wind and bioenergy are combined, supported by battery storage and managed by smart software that shares, meters and accounts for energy usage. With a local retailer, that money stays within the local community creating employment. And there are other savings. Long distance transmission of energy from large generating plants incurs average losses of roughly 10%. That is eliminated in local production. The local sources are solar, wind and bioenergy, supported by batteries. Smart software allows sharing and metering of energy production, use and accounting.